The Health and Care Research Wales Support Centre provides a high-quality Wales-wide training programme to support excellence in health and social care research studies. Building on 20 years of our experience in teaching health economics to public health practitioners and those undertaking research in public health. 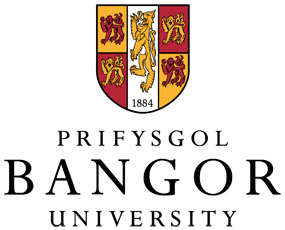 At the end of this short course delegates will have gained an appreciation of the concepts, methods and application of health economics to public health, be able to critically appraise a published economic evaluation of a public health intervention and feel confident in speaking about potential return on investment from public health programmes in the NHS and other settings such as schools and work places. JBI Comprehensive Systematic Review (CSR) Training Program is designed to prepare researchers and clinicians to develop, conduct and report comprehensive systematic reviews of qualitative and quantitative evidence, following the Joanna Briggs Institute approach and using the Joanna Briggs Institute SUMARI software. For enquiries about our consultancy services and training opportunities, please contact Dr Judith Carrier. The aim of this course is to provide you with an introduction to the socio-ecological model of health and how it can be used as a framework for designing public health improvement interventions. 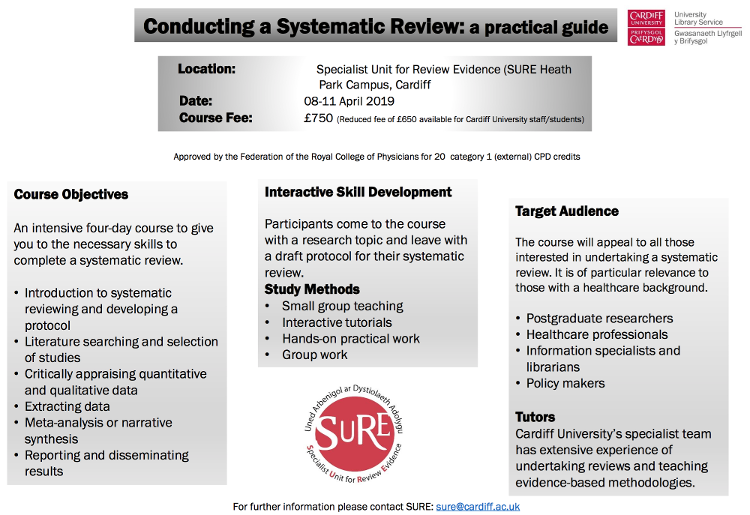 You will also learn about different research methods used for developing new interventions, how to develop an intervention ‘logic model’, and how DECIPHer works with policy-makers, health professionals and the public to co-produce interventions. It will also provide you with a working knowledge of the key frameworks and methodologies currently used to evaluate complex interventions. Teaching will be delivered by experts in the field of public health evaluation, including Dr Graham Moore, (programme lead for complex intervention methodology and Deputy Director of DECIPHer) and Professor Laurence Moore (Director MRC/CSO Social and Public Health Sciences Unit) and you will learn about how to work with other scientists, policy-makers, practitioners and the public to apply for funding to pilot and evaluate the effectiveness of complex interventions. Academics, practitioners and policymakers interested in the development and evaluation of complex public health interventions. No prior knowledge is assumed. Please contact Zoe Macdonald with any queries at MacdonaldZ@cardiff.ac.uk. We are now accepting bookings for our 2019 Health Services Research Summer School, to book your place visit here. What does the Summer School have to offer for you? The opportunity to present your research in the form of a 10 minute presentation (powerpoint, oral or poster) and further 5 minutes of questions from other delegates. Prizes awarded for the best presentations! Places are still available for this 2-day workshop. This workshop will start with an overview of the foundations of MI and its core skills. The level will be lifted via opportunity to practice, reflect and address topics like skilful advice-giving, and the internal state of the practitioner. Newcomers to MI can attend and are advised to do some preparation which we are happy to guide. Further details and on-line registration can be found here. This could be the first of its kind: a deep dive into weight management using MI. It is a 2-day workshop that will interest people working in and around healthcare who address weight management as part of their everyday work. Orla Adams has considerable experience of weight management consultations, motivational interviewing and training others to use this style and associated skills to best advantage. Stephen Rollnick will provide overviews at key moments. The workshop will also cover planning and goal setting, and the conduct of weight management group discussions. Further details and on-line registration can be found here. This is a first of its kind: a tailor-made workshop that addresses the use of MI in and around schools and the classroom. Andy Williams has considerable experience of teaching, often in deprived communities, and from his work as a Deputy Head of a comprehensive school, he has worked on the integration of a restorative approach and MI to bring about culture change and more. Stephen Rollnick will support him in the delivery of a workshop that is grounded in everyday classroom and conversation experience. Further details and on-line registration can be found here. This workshop will start with an overview of the foundations of MI and its core skills. The level will be lifted via opportunity to practice, reflect and address topics like skilful advice-giving, and the internal state of the practitioner. Newcomers to MI can attend and are advised to do some preparation which we are happy to guide Further details and on-line registration can be found here. 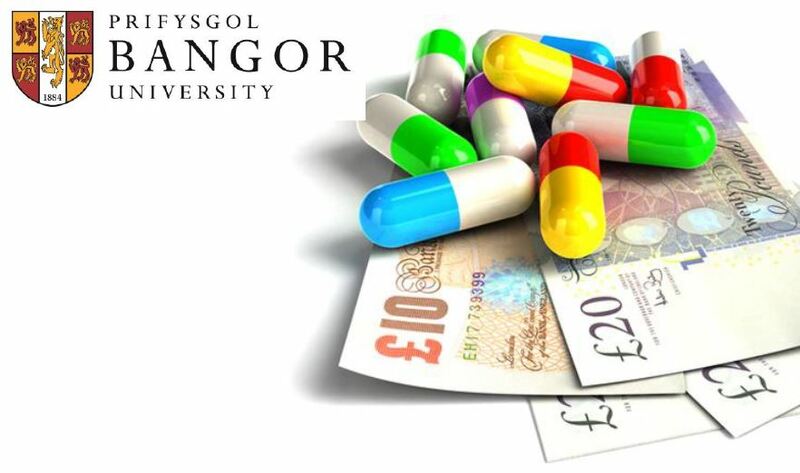 This course offers a comprehensive overview of pharmacoeconomic evaluation and health technology assessment methods for those working within the NHS or with an interest about how these decisions are made. Read more and register. Whether you’re new to the NHS or an aspiring leader at the start of your journey, you’re the perfect candidate for the NHS Leadership Academy’s Edward Jenner programme – the foundation of great leaders. It’s free, flexible and enlightening. And with open access, there’s nothing to stop you going for it today. The programme has been re-designed to offer even more flexibility with two units to complete at your own pace. Launch takes up to five hours,Foundations is designed to be studied over six weeks. FutureLearn offers a diverse selection of courses from leading universities and cultural institutions around the world, most of which are free to complete.